Rung in memory of Albert John Pitman on the 50th anniversary of his funeral and burial at this Church, where he first learned to ring. 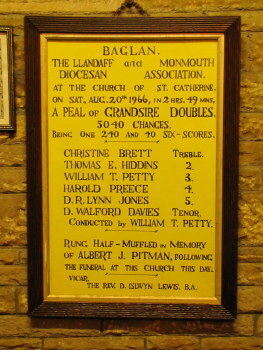 The peal coincided with a family reunion of his descendants at the nearby Church hall. Last updated Sunday, 21 August 2016 at 14:27:49. First submitted Saturday, 20 August 2016 at 20:55:39 by Andrew C John. 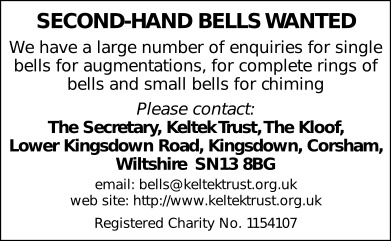 Sent for publication in The Ringing World on Saturday, 20 August 2016 at 22:24:36, and printed in issue 5504, page 1088. This performance has been viewed 938 times.